Elvis thought of himself as just a country boy and maybe it was that innocent quality combined with a fantastic energy level that made him so special. Even during his first recordings on the Sun record label. everyone knew he was a legend in the making. in his personal appearances. all his magic was fulfilled. Elvis made moves on stage that were unique to him alone. 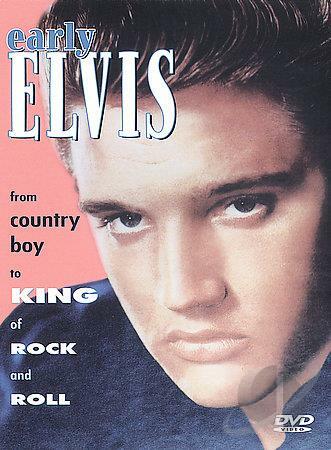 The fantastic success Elvis achieved in his chart breaking record career and his follow up personal appearance tours were just the tip of the iceberg. Hollywood beckoned. and stardom was immediate. Lines of admirers wrapped themselves around the block waiting to get into the local movie house just to see him. and in this retrospective, we look at these "Elvis starring vehicles" and immediately know why. This programme encompasses all phases of this remarkable entertainer. You will see rare footage. film clips, stills and information that will delight every trivia lover. His untimely death and the ravages of excess that overtook his later years are. of course, a part of history but Elvis Presley in his younger years ...he was something else!